We live in the age of mobile phones. There’s no way around that simple but fundamental truth, which means a successful entrepreneur must not fight it but rather embrace it, and see their marketing campaign dramatically empowered as a direct result. Here at RCS, our team can, among other things, 1) set up a pay-per-click advertising campaign for you that specifically targets cell phones, 2) design a mobile website for your business and optimize it, and 3) design and market mobile apps that facilitate access to your products and services for those prospective customers who are always on-the-go. Part of the reason why RCS has built up such a sterling track record of success on behalf of our clients is because our experts have a keen understanding of what the average consumer is doing right now. People on the street want easy access, instant gratification, and mobility. Cell phones are the obvious tool for that, and savvy businesses are taking advantage of this ready-made portal to the consumer. Mobile marketing can be an extremely effective way to reach out and connect with those prospective customers who like to stay plugged in at home, at work, and on-the-go. Technology is driving the marketing landscape as never before, and people are more likely to engage with a business that makes the effort to be as accessible as possible.  For the customer who does his or her comparative shopping on the fly, mobile marketing is quickly becoming an essential tool for business in a wide range of sectors. 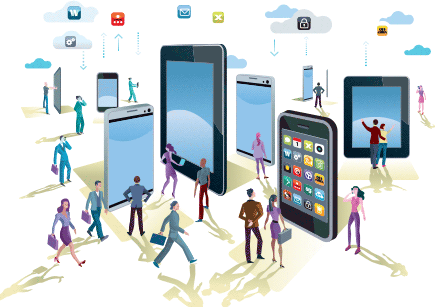 The RCS team has always been at the leading edge of mobile marketing. This is a key ingredient for our search engine optimization services, and our experts are always finding new and innovative ways to disseminate information about our clients’ products and services across multiple platforms. From pay per click advertising to local Internet marketing through mobile ready sites, mobile applications, and more, our mobile marketing tools are extensive. That said, effective mobile marketing isn’t just about taking every tool out of our bag of tricks and throwing it against the wall to see what sticks. What distinguishes us from other marketing companies is the rigorous research, analysis, and planning we engage in before crafting a tailor made strategy for each and every client. If you are interested in learning more about our mobile marketing services, we encourage you to contact us to schedule a FREE consultation. Let us help you take the next vital step in broadening your Internet marketing strategy.